I thought I would start my NEW blog with a post about NEW creations. I'm working on some new pieces for my upcoming RAW Showcase (go here to learn more!) 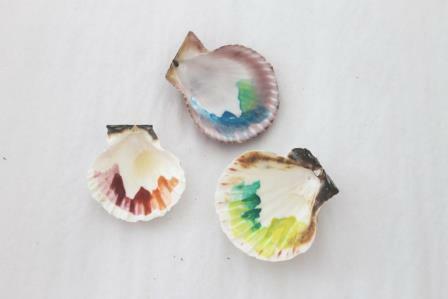 I love this step of making my watercolor shells necklaces. The shells have their first layer of paint, and now I get to daydream about what type of sea creatures will live on each shell.